Ever since Instagramming became a job, people have been getting rich from it. Although Selena Gomez is the most followed person on Instagram, she’s not actually the highest paid Instagram user—that honor goes to Kylie Jenner, who makes $1 million per Instagram post. Yes, you read that correctly. Hopper HQ compiled the annual “Instagram Rich List” by reaching out to celebrity reps and referencing publicly-available information about celebrity Instagram rates. 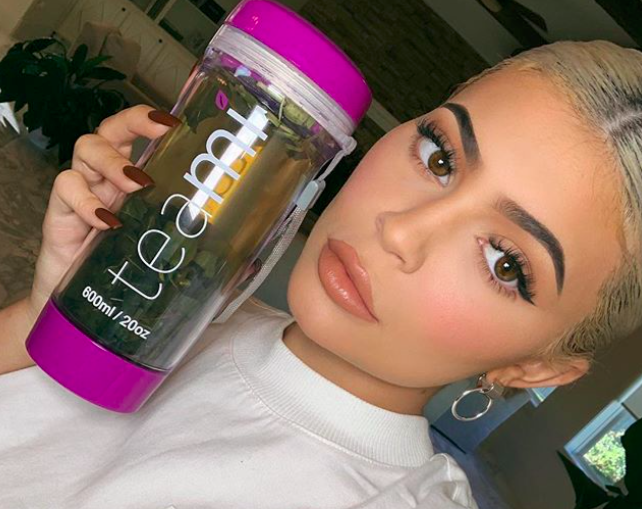 After their research, Hopper HQ discovered that the youngest Kardashian makes the most money per Instagram post across all the influencer categories: celebrity, beauty, fashion, fitness, food, lifestyle, sport, and travel. Jenner commands $1,000,000 per Instagram post, with Gomez in second at $800,000 per post. Other names on the list include: Cristiano Ronaldo ($750,000 per post), Kim Kardashian ($720,000), Beyoncé ($700,000), The Rock ($650,000), and Justin Bieber ($630,000). Huda Kattan, of Huda Beauty-fame, is the only non-celebrity and non-athlete in the top 20 overall list. She commands $33,000 per Instagram post. *Ronaldo and Junior appear in both the “celebrity” and “sport” category. Head to Hopper HQ to check out the rich lists across all categories.